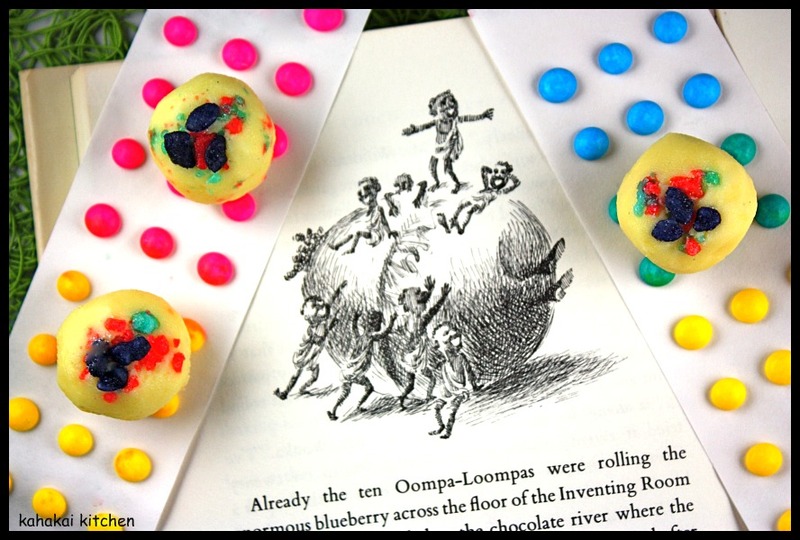 I love how willing all of you were to step back into childhood and embrace our February/March Cook the Books selection, the classic Charlie and the Chocolate Factory by Roald Dahl. For some it was revisiting an old favorite, for others it was a new experience, but everyone did an amazing job at coming up with their Willy Wonka and Charlie Bucket inspired dishes. Whether it was something savory to nourish poor Charlie and his family, or a fantastical scrumdillicious treat, your posts sharing your thoughts on the book and your dishes were a delicious treat to read! Tina of Life in the Slow Lane at Squirrel Head Manor enjoyed rereading the book, especially the parts where the naughty children got their comeuppance, but she was concerned about “the sustenance the Bucket family was missing in the beginning of the book” and wanted to give them something filling. 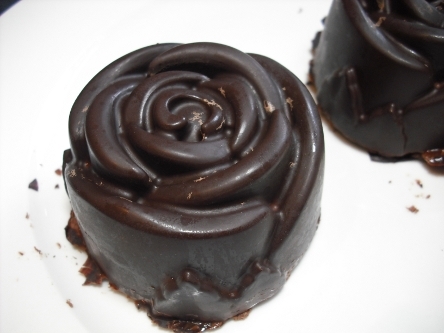 She says, “So…….you’d think the inspired meal or dish would be totally chocolate related, right? 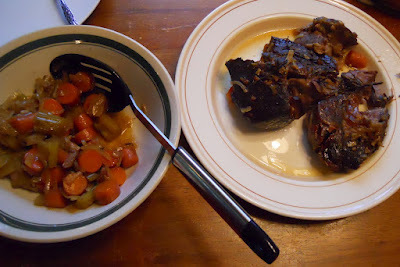 I decided on a Beef Roast with Vegetables and Potatoes Rice as the beginning of the book painted such a bleak portrait of the Bucket household’s pantry. They spoke of watery cabbage soup…….but I am not inclined to have severe lower abdominal pain for days on end slurping cabbage soup. Nope. You can serve with mashed potatoes and place that lovely gravy atop or (if you are married to a southerner as I am….even though he doesn’t act or sound like one) you may serve over rice.” A meal to warm and fill the belly for sure! A new face to welcome to Cook the Books is Camilla of Culinary Adventures with Camilawho was inspired by seeing the play adapted from the book to cook an entire chocolate dinner. Starting with a Roasted Parsnip-White Chocolate Soup, served with Chocolate Crostini and a Chicken with Chocolate-Balsamic Vinegar Glaze and Salad. 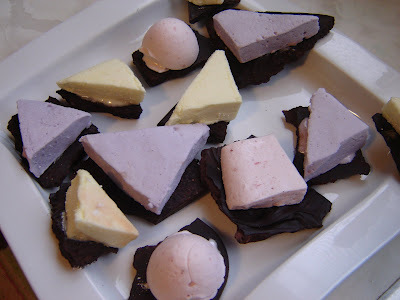 Dessert was a variety of luscious Vosges chocolate bars. Camilla did a quick re-read of the book for our Cook the Books event and says that “There are several things I like about this book. Though the plight of the Bucket grandparents is depressing – all four confined to a single bed that they never leave – I like that they all live together. Extended family, if you have that luxury, adds so much to kids’ lives. I like the message of the story – you get what you deserve.” Welcome to Cook the Books Camilla! My Cook the Books co-host Rachel, The Crispy Cook says, “It was a pleasure to dip in again with little Charlie Bucket and his sprightly Grandpa Joe as they explore the wonders of Willy Wonka’s amazing Chocolate Factory with a bunch of rotten kids and their equally revolting parents. I would recommend this witty book to anyone looking for a wacky, slightly sardonic romp, old and young alike.” She was inspired by Wonka’sLickable Wallpaper for Nurseries and creatively created her own version saying, “I thought about those homemade flyers that have strips at the bottom with people’s phone numbers to rip off, and then that got me thinking about making edible wallpaper using nori, those sheets of roasted seaweed that one uses to roll sushi.” Rachel had fun experimenting with flavors and turning out some tasty Lickable Nori Wallpaper Snacks. This was the first time reading the book for Heather of girlichef who says, “If you love the movies, you’ll love the purity of the original book even more. And you’ll be inspired to make all sorts of fun concoctions while you read the story. One of my favorite scenes from the original movie was when Charlie and Grandpa Joe get into the fizzy lifting drinks and I was bummed that they didn’t do anything with them in the Tim Burton version. 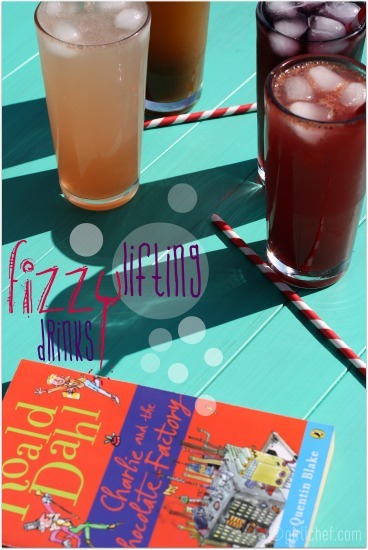 So when I happened upon the fizzy lifting drinks while reading the book – I instantly knew what I’d be making in honor of Roald Dahl’s Charlie and the Chocolate Factory. (FIZZY LIFTING DRINKS, it said on the next door. “Oh, those are fabulous!” cried Mr. Wonka. ”They fill you with bubbles, and the bubbles are full of a special kind of gas, and this gas is so terrifically lifting that it lifts you right off the ground just like a balloon, and up you go until your head hits the ceiling–and there you stay.”) Heather “got fizzy with it” and made a rainbow of Grape, Tamarind, Grapefruit and Blood Orange Fizzy Lifting Drinks. Over at Kahakai Kitchen, I was happy to celebrate my inner child and reread this much beloved book. For my dish I wanted to pay homage to one of my favorite parts of the book– where bratty jaw-smacking Violet Beuaregarde chews a stick of the most “amazing and fabulous and sensational gum in the world!” from The Great Gum Machine, enjoys the three-course meal it contains and then swells up into a giant blueberry before being rolled off to the Juicing Room. I love lemon and I also had to toss in a little bit of fizzy from those crazy Fizzy Lifting Drinks, so when you put it all together you have Lemon-Blueberry White Chocolate Fizzy Truffles. Inside the white chocolate base is a fresh blueberry and some Pop Rocks, and the candies are topped with more Pop Rocks and candied violet pieces. 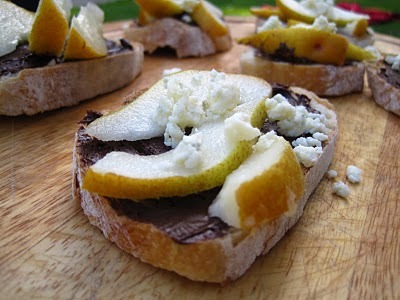 They were fun to make and eat with their subtle fizzy crackle and lemony essence. 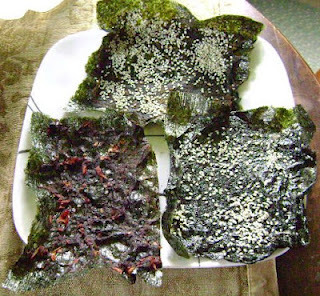 Finally, my CTB co-host Jo of Food Junkie Not Junk Food says, “What I love about Dahl is his dark humor and detailed character descriptions, which are never boring. He obviously hates stuck up, spoiled kids and adults, which is quite obvious in Charlie, but was so delicate when describing human relations and desperate situations like the one Charlie is in before he wins the golden ticket. I actually read that part where his family is almost starving and the little boy tries to save up his energy by walking slowly to school or staying in during recession with great agony. And although I knew that he would eventually win the ticket and his life was going to change, I still felt terrible about him. But the book is not about sorrow, it is about joy, the joy that sweet treats give to everyone especially little kids. 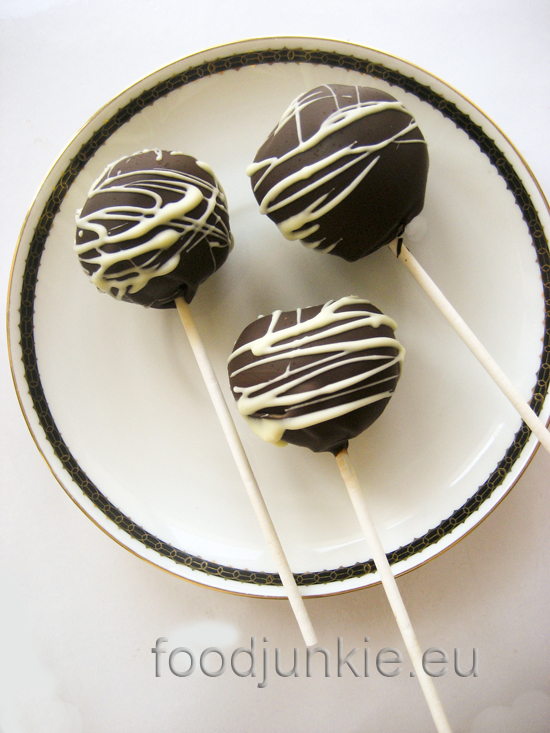 So for this CTB I decided to make some Cake Pops or Cake Truffles. I actually loved the idea of turning a cake into something more playful, but equally tasty, and I think that is why Cake Pops have made such a huge impression on people so far. A fabulous job from everyone! Willy Wonka and Charlie would be proud. And now, it gives me great pleasure to announce our judges for this round of Cook the Books. I pondered long and hard to determine who would be a perfect judge. It had to be someone who loves the book, who appreciates creativity, who has a child-like sense of fun and is a foodie at heart. You would think that it would be tough to find a judge who perfectly fits that criteria, but we found two! and her daughter Hannah, aka 5-Star Foodie Junior! I stumbled across this post that mentioned a Wonka-themed party that was held for Hannah’s 7th Birthday last year in honor of her favorite book. I immediately shot off an email asking if the dynamic duo would be our judges and they graciously accepted. 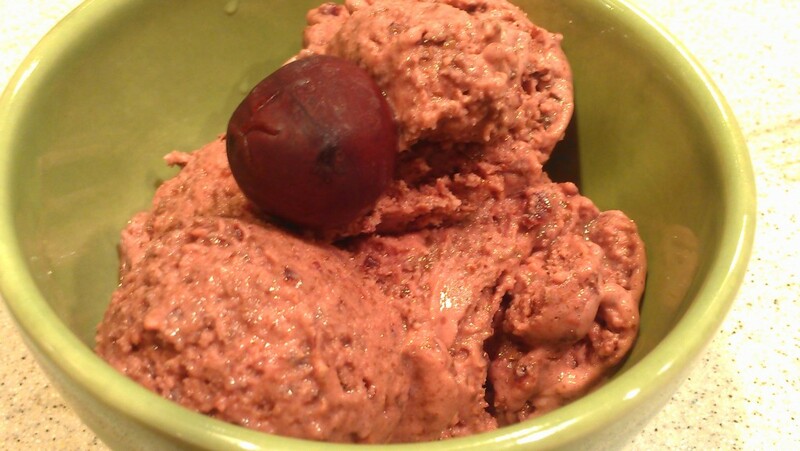 If you have not had the pleasure of reading her blog, Natasha likes to be creative and inventive in the kitchen, adding her special 5-Star Makeover twists to all kinds of sweet and savory dishes. 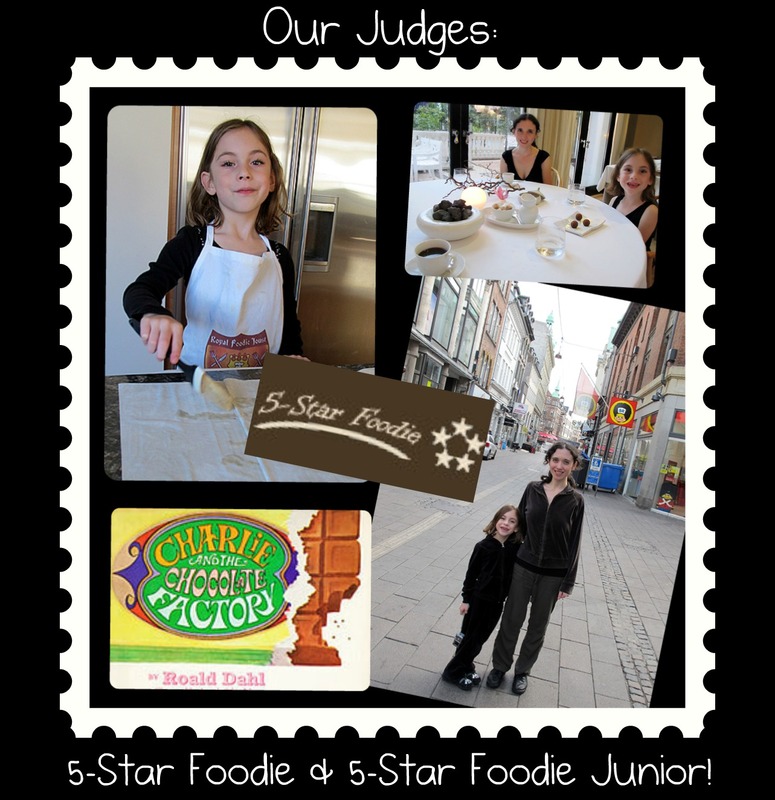 Hannah truly is the 5-Star Foodie Junior with her sophisticated palate and developing cooking skills that are highlighted in the monthly 5-Star Junior posts that feature her in the kitchen learning how to cook. This mother-daughter judging team will be reviewing all the entries and choosing their favorite. Of course the winner will get their name on the side bar “winners section” and get the much coveted Cook the Books Winners Badge to “wear” proudly on their blog. I’ll be back soon to announce ourCharlie and the Chocolate Factory winner once our judges have decided, but in the meantime you can get started on our April/May book selection, The United States of Arugula by David Kamp, hosted by Jo. grab a button and join us!